The second stage of a United Launch Alliance Delta IV Heavy is mated to the common booster core inside the Horizontal Integration Facility near Space Launch Complex 37 at Cape Canaveral Air Force Station in Florida. The Delta IV Heavy will launch NASA’s upcoming Parker Solar Probe mission in July 2018. The mission will perform the closest-ever observations of a star when it travels through the Sun’s atmosphere, called the corona. The probe will rely on measurements and imaging to revolutionize our understanding of the corona and the Sun-Earth connection. 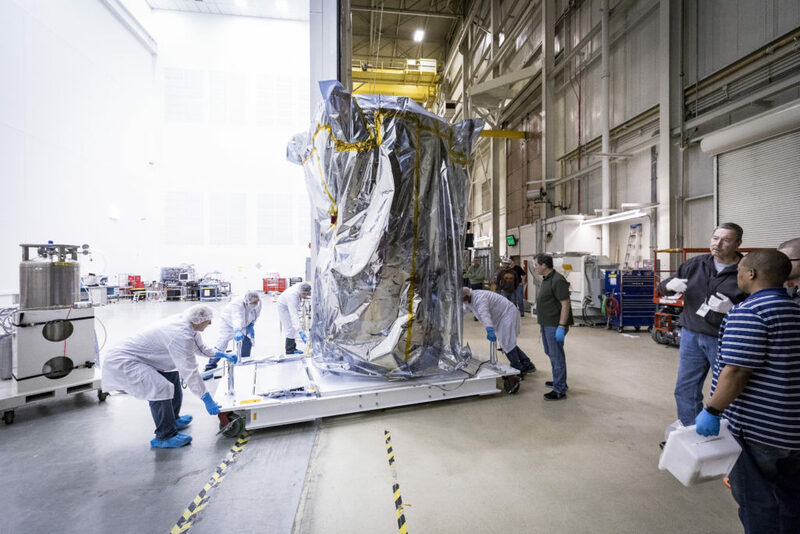 Parker Solar Probe has completed its space environment testing at NASA’s Goddard Space Flight Center in Greenbelt, Maryland, and was lifted out of the thermal vacuum chamber on March 24, 2018, after just over two months inside. 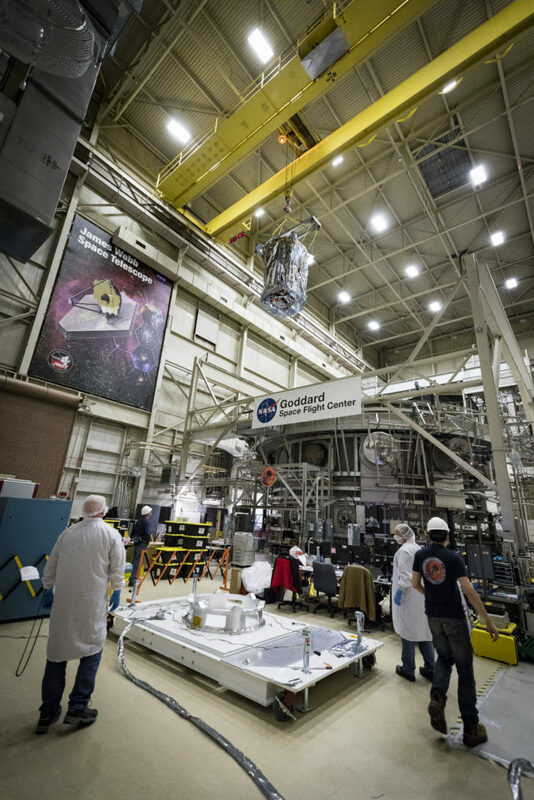 Since January, Parker Solar Probe underwent a series of tests inside NASA Goddard’s large thermal vacuum chamber – officially called the Space Environment Simulator – that mimicked the conditions the spacecraft will face in space throughout its seven-year mission. After initially testing the spacecraft’s functions under hot and cold extremes, engineers have spent the past month slowly cycling the temperatures in the thermal vacuum chamber back and forth between hot and cold, making sure Parker Solar Probe’s systems and components operate properly. This thermal cycling is similar to the conditions the spacecraft will experience as it completes 24 close approaches to the Sun over its seven-year mission. After undergoing final preparations, the spacecraft will leave NASA Goddard and travel to Florida this spring. 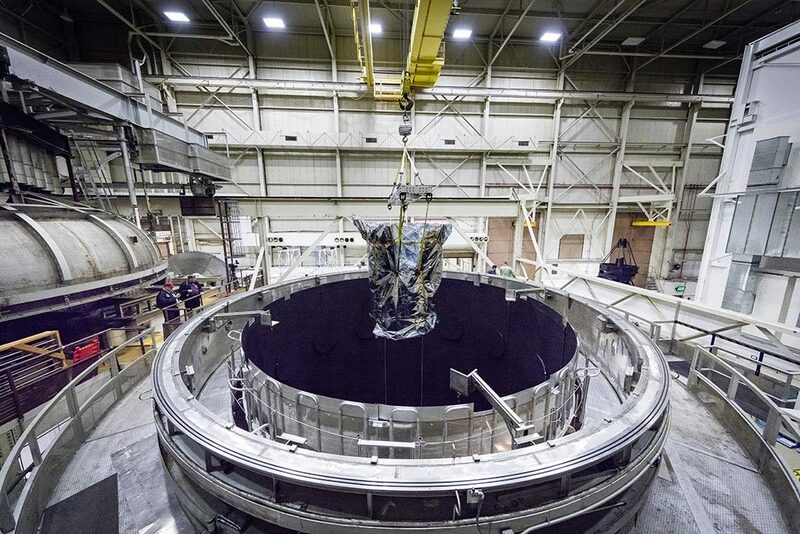 Once in Florida, Parker Solar Probe will go through its final integration and testing at Astrotech Space Operations in Titusville before launching from NASA’s Kennedy Space Center in Florida this summer. Parker Solar Probe’s launch window opens on July 31, 2018. Download these photos and more in HD formats from NASA’s Scientific Visualization Studio.